1st tip: Try your best to find colours that match your wardrobe. You will wear them more and you can mix and match between different clothing pieces. 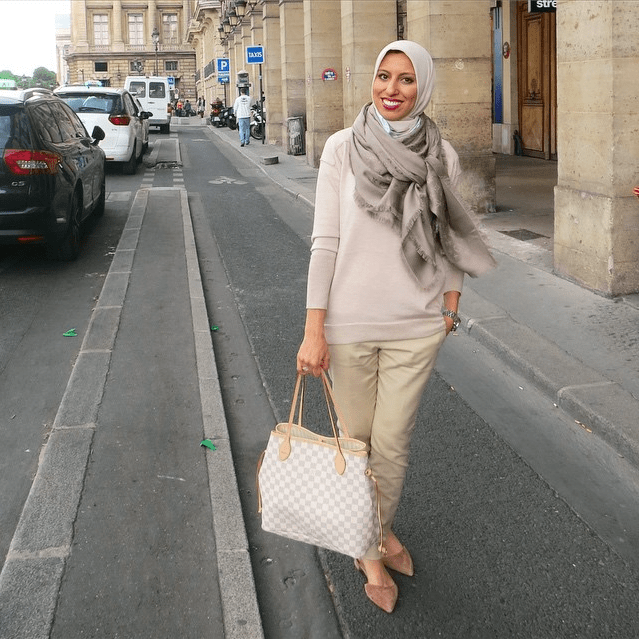 If you have bright clothing then look for other bright complementary colours, if you wear more neutral colours- then muted coloured hijabs will be your best bet. 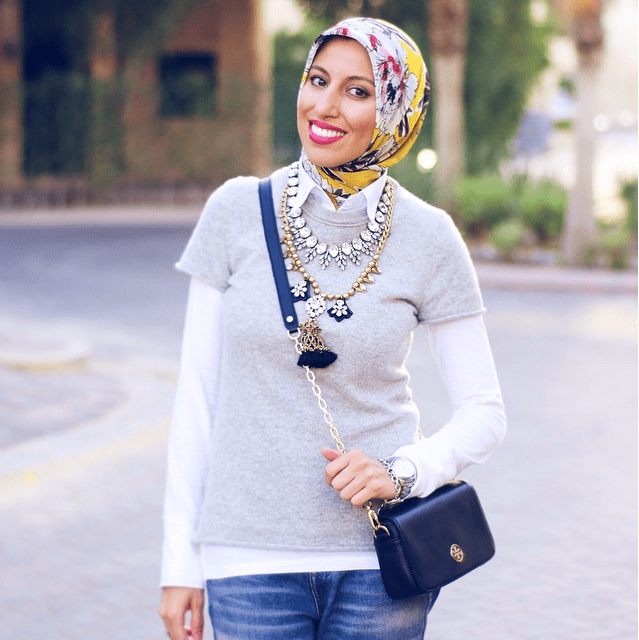 Adore this neutral outfit choice 2nd tip: Play up your eyes! Pick colours that make your eyes pop! Brown eyes: Go for colours with blue-y tones. The warmth of your eyes will sparkle against a cool colour. Try teal, blue, purple, we personally love cobalt. For tips on make-up for brown eyes check out this. Also don’t be shy about using warmer tones like warm oranges and true reds. We love a medium pink as well against brown eyes. Be careful of how pink you go! This medium pink is absolutely stunning 3rd tip: Make things interesting. Patterns are awesome, we highly recommend! For everyday outfits a subtle pattern is great, if there are many colours going on it sometimes looks to busy and can take away from your beautiful face. We recommend trying to find a pattern that is all within the same colour scheme. This is the perfect example of an everyday pattern that looks fantastic within the same colour scheme 4th tip: If you are wearing a darker outfit and need a real pop, nothing looks better than a big bold large pattern. If you can pull it off and feel comfortable, then rock it! 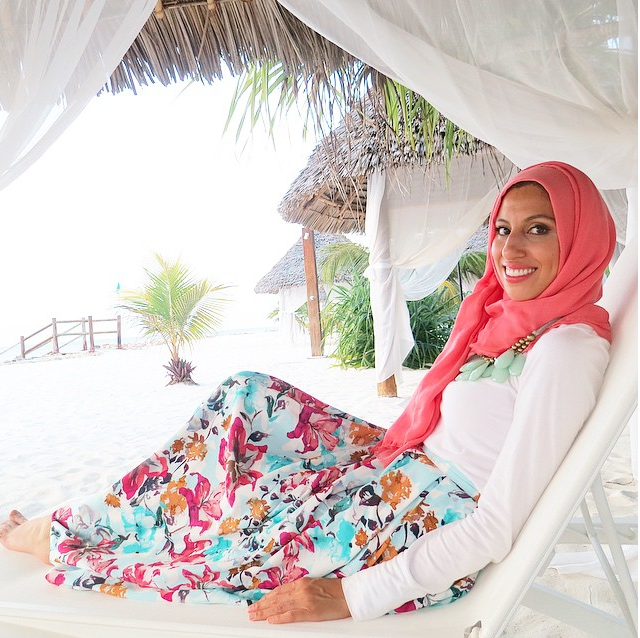 Ladies take notes of this fab outfit choice 5th tip: Don’t match your outfit and hijab perfectly. Wearing an outfit the entire same colour or the same pattern is just a fashion no. 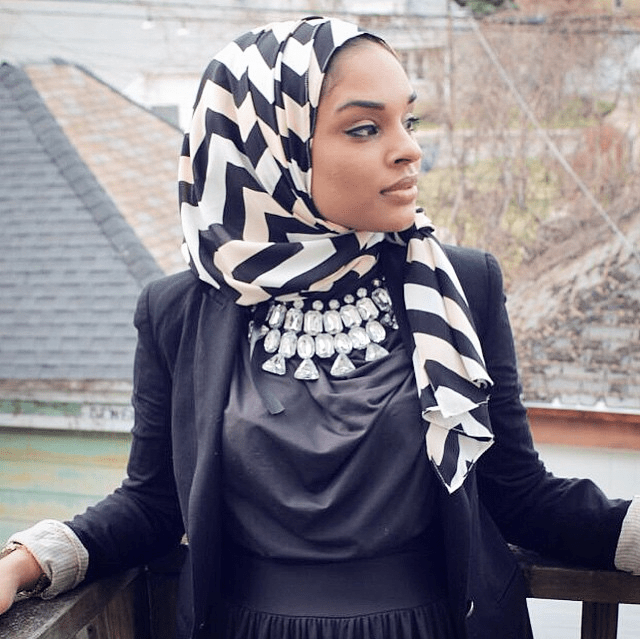 A hijab is meant to make a nice contrast and bring a new element to the outfit. Not blend in with everything else you are wearing!